The York Council has agreed to provide “on line” access to its map of brownfield (previously developed) building land in the City. 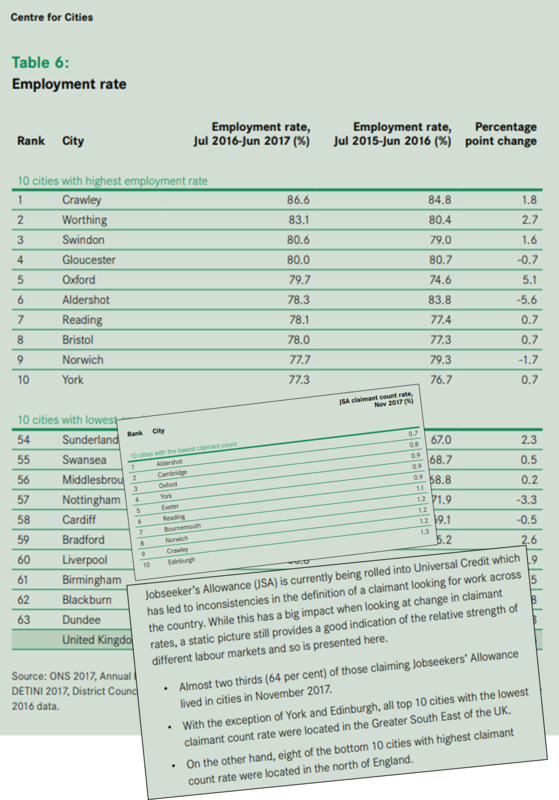 York now has the highest employment rate of any City in the north of England or Scotland. It also has one of the lowest claimant (benefit) rates. York has a relatively small proportion of jobs in employment sectors which are expected to shrink in size over the next few years. These include sales assistants and retail cashiers,other administrative occupations, customer service occupations, administrative occupations: finance and elementary storage occupations. A century ago the most vulnerable occupations were forecast (correctly) to be domestic indoor servants. Th news is contained in a new report published by the “Centre for Cities”. The report can be read by clicking here. York tends to be average to better than average on most tests applied by the study. Perhaps more surprisingly York does’t yet feature in the top 10 of City’s with ultra fast broadband access while housing remains more affordable than in many southern cities. If you are affected please put your rubbish out by 7am tomorrow and we will return and collect. Apologies for any inconvenience this has caused”. Residents are being urged to use the network of recycling banks across the City. The plea comes after street collections fell behind scheduled last week. 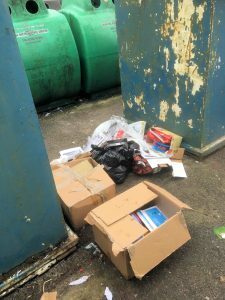 The Council reported that very large amounts of, post festive season, waste were being presented for collection. Plan ahead for a happy holiday! 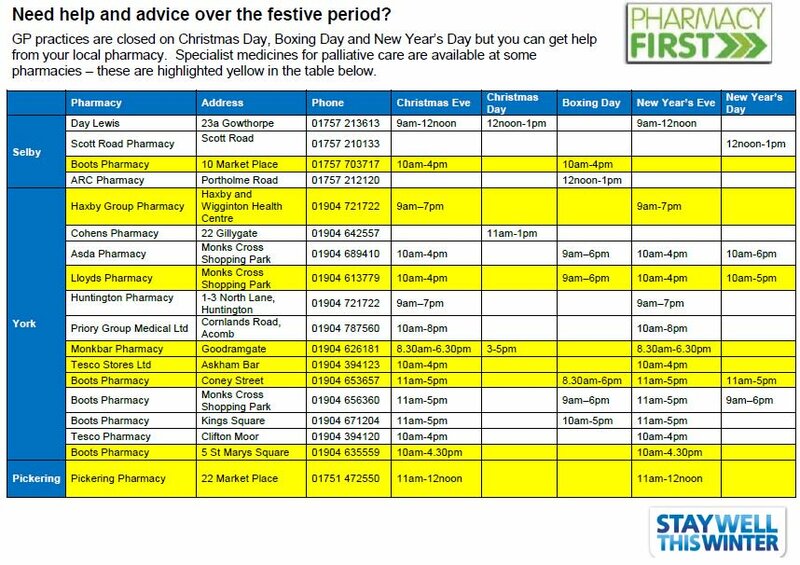 City of York Council has “got Christmas all wrapped up and we’ve pulled our festive information into one place to help residents plan ahead”. The customer centre will close over the festive period. 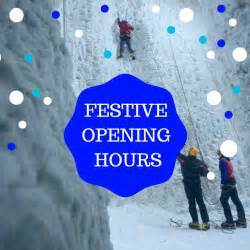 It will shut at 4pm on Friday 22 December and then re-open on Wednesday 27 December running normal opening hours except for on Friday 29 December when it will close at 4pm. The customer centre will then re-open in the New Year on 2 January when normal opening hours will start. Finally, with so many people alone this Christmas, remember to pop in to check on vulnerable friends, neighbours or relatives to make sure they are warm, healthy and happy. Mary Weastell, City of York Council chief executive, said: “York has recently been voted the most festive cities in the country and I hope residents and businesses continue to enjoy all this great city has to offer over the festive period. Residents are advised to follow our social media accounts @cityofyork, @yorkgritter and facebook.com/cityofyork for up to date information over the festive period. Happy holidays! All households will get extra household waste collections (grey bins/black sacks) during weeks commencing 18 December 2017 and 2 January 2018… Put your waste out by 7.00am for collection! With cold weather forecast over the coming days City of York Council is reminding residents to stay well this winter and to look out for vulnerable neighbours and relatives. Winter is here. The cold weather can have a significant impact on people’s health and with the cold and icy conditions vulnerable people can tend to stay at home. Make sure they’re warm enough – the temperature in their home should be at least 18oC, particularly if they are not mobile, have long term illness or are 65 or over, and they may need to wear several layers of clothes to stay warm. Make sure they are well stocked up on food, drink and medicines they may need. Try to make sure they have regular hot meals and drinks throughout the day. Information about social groups and activities for older people is available through www.connecttosupport.org/york or by contacting Age UK York on 01904 627995. For more information about Age UK’s national Spread the Warmth campaign visit www.ageuk.org.uk or see www.york.gov.uk/winter more information about keeping well during winter. Councillor Carol Runciman, executive member for adult social care and health, City of York Council, said: “For hundreds of older and vulnerable people across the York area the winter can be a lonely and difficult time. Ahead of Universal Credit rolling out for even more residents in York from 12 July, the council says it will support residents who need digital assistance and budgeting support with Universal Credit. 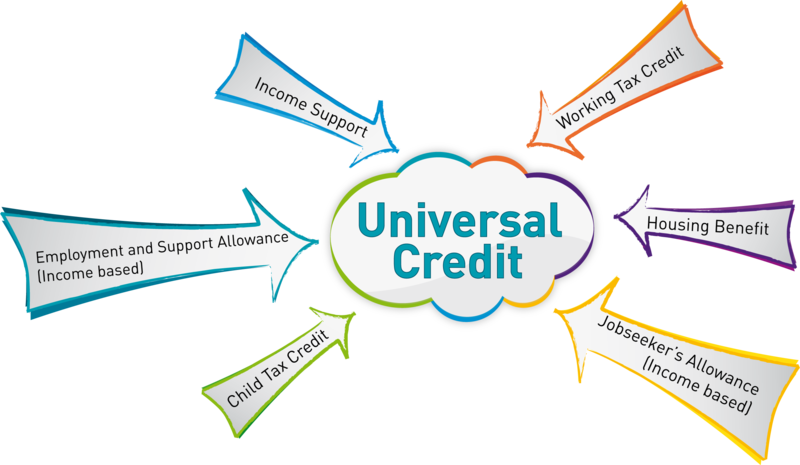 Universal Credit is a new benefit, handled by the Department for Work and Pensions, which helps people on a low income or not in work, meet their living costs. It combines six benefits, including housing benefit and working tax credit, into a single monthly payment. Currently Universal Credit is only available to single jobseekers in York but from 12th July parents and couples, including people who can’t work because of their health, living in the city and making a new claim will also receive it. · payments are made in arrears once at the end of the month, rather than being paid every week. · payments will go straight into a claimant’s bank account. This means people may need to set up their own direct debits for expenses like rent if it was paid directly to their landlord under the old Housing Benefit system. Residents who want to claim Universal Credit who are unable to use the internet or don’t understand how to make the claim can contact the council on 01904 551556 to ask for help through Assisted Digital Support (ADS). People who would like to claim Universal Credit but are having trouble opening a bank account or managing their money can contact the council on 01904 552044 to ask for help through Personal Budgeting and Support (PBS). PBS can help with budgeting and advice on finding a bank account as Universal Credit cannot be paid into a Post Office card account. The council has also teamed up with South Yorkshire Credit Union Ltd to give tailored advice which could include consolidating any repayments into a single, more manageable account at a lower, fixed interest rate, rather than resort to unregulated lenders or loan sharks. Private or council tenants or mortgage holders are welcome to take advantage of the scheme which aims to help people budget and manage any debts. 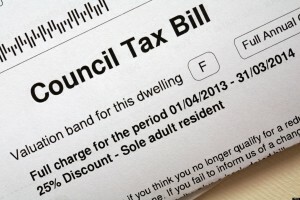 The Council has started this week to issue its Council Tax demands for 2017/18. In total council tax will rise by 3.7%. At a click of a button they can also pay their council tax online, let the council know if they’re moving house, are claiming sole occupancy discount and student discount. They can also request a copy of their bill, set up a payment plan if they’re in arrears and set up a Direct Debit. In addition to this, council tax bills can also be sent by email. It’s free, fast, environmentally friendly and secure. Anyone without internet access can continue to call the customer service centre or visit staff at West Offices. The council’s gross expenditure for 2017/18 is £376.006m (380.391m in 2016/17) the amount raised though council tax in 2017/18 will be £81.630m (£77.072m in 2016/17) plus £703k (£667k in 2016/17) from parishes. At long last the Council has responded to our questions about the failure of its parking space availability policies. Following our article published in December, which revealed that the Council’s web site was out of date and that many street signs were faulty, we asked the Council when repair work would be completed. 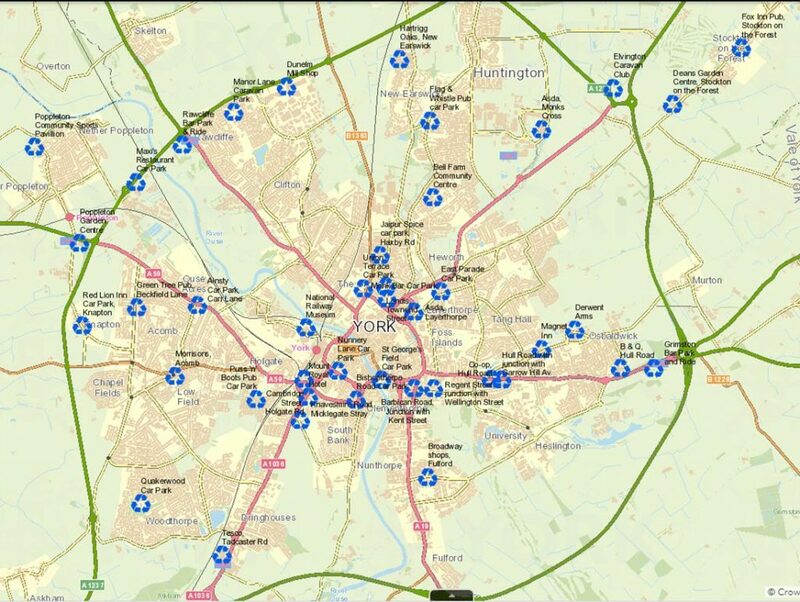 The on line map was a particular concern as it had not shown parking space availability for over 4 years and some of the listed car parks had actually closed. After some delay, the Council has now said that the on line map – in line with a new mobile app – “will be updated by the end of March”. This will include an update to the listed tariffs. 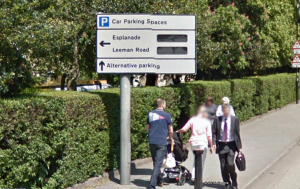 The delays in restoring the parking space availability feature (known as the Car Park Guidance System) is put down to issues with the slow roll out of the Council’s new fibre optic network. Apparently the car parking counting devices are currently being refurbished in time for the March relaunch. The Council also confirms that all of the Variable Message Signs which can be seen on the streets of the city were faulty. “taken the novel step of working with a suppler to develop a new ‘technology package’ that can be inserted into the existing sign cases as this is a much cheaper way of renewing the VMS than simply replacing them. The first four pre-production signs that have been used to test this approach are now operational and under test in the City, and the Heworth Green and Foss Islands Road CPGS signs are part of this group. Work is now underway to apply this renewal technique to the five remaining City-centre ‘free text’ VMS and these will be back on street and operational by the end of March. The remaining twenty CPGS ‘Insert’ signs (right) located in the City centre will be refurbished and brought back into use between April and August 2017″. There are no plans to provide additional VMS signs in the City. Finally the Council has confirmed that it is working with a number of GPS/SatNav suppliers to include real time parking space availability features on their devices. 4/12/16 44 Transdev Service will run from Acomb to city centre only. 4/1/17 627 Arriva Morning journey to run 5 mins earlier. 8/1/17 8 First Minor timetable change. 31X Stephenson’s Minor timetable change. 8/1/17 66 First Inbound service will set down passengers at Clifford St instead of Piccadilly. 9/1/17 24 Arriva Minor timetable change. 9/1/17 25 Arriva Minor timetable change. 9/1/17 26 Arriva Earlier (0658) start time from Fulford. 19/2/17 13 Connexions The 0635 trip from Rail Station to Copmanthorpe will be removed.